The science and economics supporting breaching the four lower Snake River dams has only gotten stronger. But anyone who says the politics has changed are wishing and hoping, not accurately reading the tea leaves. A recent story by Nicholas Geranios of The Associated Press said that "the idea has gained new momentum," after 200 boats did a floating protest on the Snake River October 3. "The groundswell that is occurring right now to remove the four dams is like nothing I've seen since 1998," said Sam Mace, director of Save Our Wild Salmon. I'm sorry, but I'm not convinced. 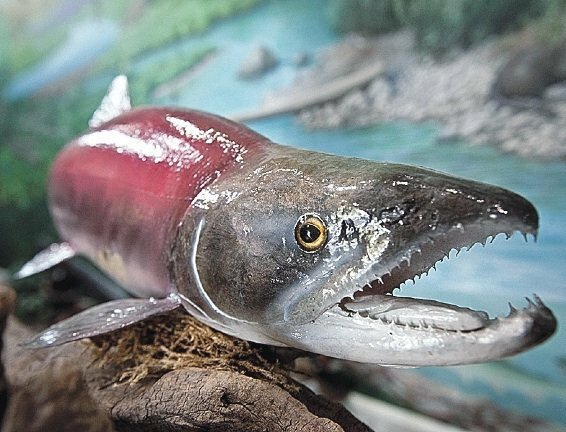 The evidence that breaching dams would help salmon is more persuasive now than it was in 1998, when the biologists and the Idaho Department of Fish and Game concluded that eliminating the obstacles would be the best way to recover Idaho's salmon and steelhead runs. And the economic case for breaching grows every year, as barge shipping on the Snake River drops and improving energy efficiency keeps the Northwest's power supply at a 16 percent surplus. But the dams still produce low-carbon power and, after all the gold-plating the federal government has done over the past 20 years to upgrade turbines and add fish-passage devices , the federal agencies would be stuck with billions in stranded costs that would be expensive to recoup if the dams were breached. The reason there is no great political groundswell? Sport anglers and tribal fishermen are still catching fish in great numbers. More than 1 million fall chinook are expected to return to the Columbia Basin this year -- 58,200 of them back to Idaho after passing over Lower Granite Dam. The main reason for that is recent favorable Pacific Ocean conditions, providing Idaho's salmon ample feed and fewer predators. Until that changes, I can't see many salmon lovers, anglers, Indians, sporting businesses or others storming the gates of the Northwest states or Washington, D.C., for action. But here's my warning, dam-lovers and salmon-kissers. Don't get comfortable. Disturbing developments could turn things around quickly. First, the Columbia and Snake rivers both got so hot so early this summer that Idaho's sockeye run all but disappeared, despite the more than 250,000 juveniles that went out since 2012. Just 46 returned to the Sawtooth Basin; another 52 were caught at Lower Granite and trucked to Idaho. It won't take many back-to-back hot summers like that to threaten the progress the Snake River sockeye program has seen since the bleak days when Lonesome Larry was the single sockeye to return to Redfish Lake. NOAA climate scientist Liza Crozier in Seattle has been watching the effects of global warming and climate change on salmon and she says this year's sockeye demise underscores how fast inland conditions can change. The Snake River sockeye were hit far harder than those that swim up the Columbia River into the Okanagan River. Crozier thinks this may be due to the fact that the Columbia sockeye have adjusted their migration time earlier, while the Snake River fish have stayed the same. Why? It may be because Snake River sockeye have had such low numbers for such a long time, and then were pulled out of the system into the captive-breeding program, that they have not had the same ability to experience in-river conditions and adjust. Fall chinook have changed their migration pattern in the Snake over the past 25 years, many waiting to migrate out until the following spring when conditions are better. Both of these evolutionary changes give us hope that these remarkable fish can find a way to survive as the rivers warm. But there is the separate issue of the warming Pacific Ocean conditions, including what scientists are calling a massive warm-water "blob," which I have reported on since last year. Biologists say fewer salmon survived the trip out from the spawning grounds this year. We will soon see how changing ocean conditions affect next year's adult returns. If Pacific Ocean productivity turns as poor as it was 20 years ago, salmon and steelhead returns could dive. That will be the moment when dam-breaching gains new momentum. It could come soon. You will recognize it when the Democratic governors downstream join the grassroot flotillas protesting below the Snake River dams and when budget hawks start agitating to stop spending so much to subsidize a failing system. This has been a very tough year, but we cannot predict the long-term effects of climate change based on one year alone. We must consistently look for ways to better protect salmon as science helps us understand how our cliate is changing and how the ecology of the system responds to those changes.